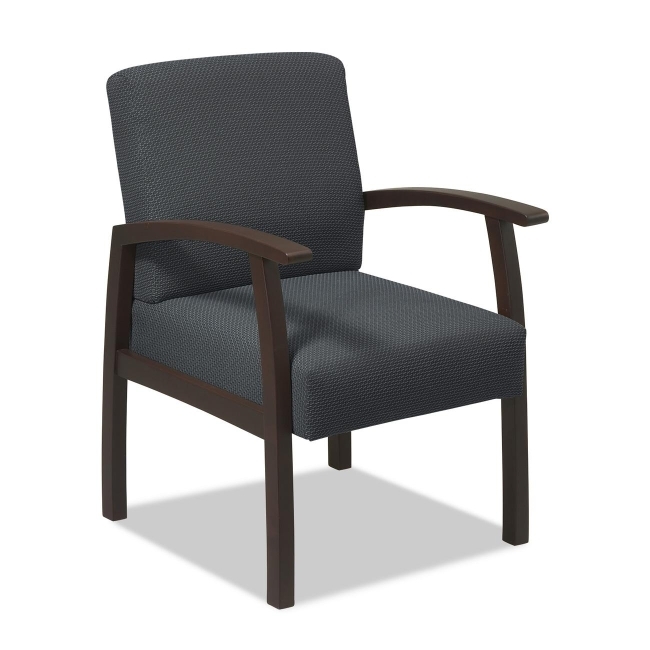 Guest chair offers a thick padded seat and back with built-in lumbar support. Base and arms are made of wood. Easily assemble chair using the chairs unique locking system. Assembly requires no tools.